The first track off Anna Scionti’s new album ‘Trouble In My Head’ will be released as a single on April 1, ahead of the blues musician’s performance at the National Folk Festival in Canberra, which runs from April 18 to April 22. Scionti said that a hardcopy of the single will be available for sale at the festival. “I love writing songs and putting them out there,” she added. “The forthcoming album ‘Orphan Diary’ (May 1) includes stories about being a kid and growing up in East Gippsland in the country, and stories from right up until now. Scionti’s father was born in Pedagaggi, in the Sicilian province of Syracuse, while her mother was of English and Scottish ancestry. Scionti said that although her parents passed away when she was young, she and her brother, aunt and cousin had the opportunity to visit the village in Sicily where her father was raised. “Certainly this album is a lot about that,” she reflected. Scionti’s music encapsulates a raw and gritty sound. Major influences include American Chicago blues guitarist Hound Dog Taylor, and the more contemporary Seasick Steve, who is famed for his nomadic, “hobo” lifestyle as he moved around America working casual “carnie” jobs, and singing the blues wherever he found himself. Scionti also mentioned contemporary influence Larkin Poe, the American roots rock band fronted by sisters Rebecca and Megan Lovell, who are coming down-under for BluesFest. Scionti’s music maintains a similar soulful bite. 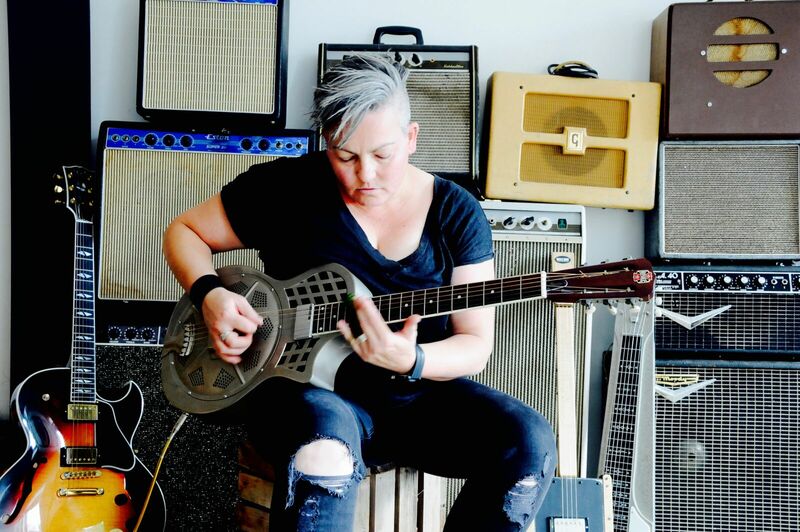 She tells true-life tales set against an electrified rhythmic blues, with cigar box guitar, slide, lap steel and electric steel. It’s refreshing to hear women making this kind of strong, reflective music, so keep an ear out for Scionti at the National Folk Festival in Canberra, which runs from April 18 to April 22.